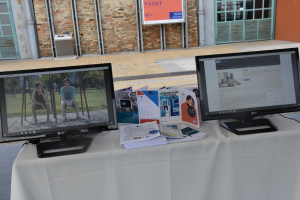 The 14th Scientix Projects’ Networking Event (SPNE) was held at TECHNOPOLIS in Athens, Greece, on 5 September 2018. 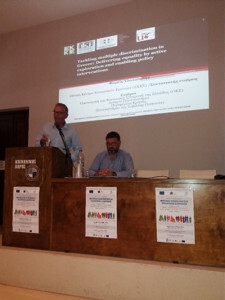 SPNE14 brought together 30 participants, among them experts, researchers, teachers, policy makers and representatives of organisations working on the topic of “Research into the classroom“. 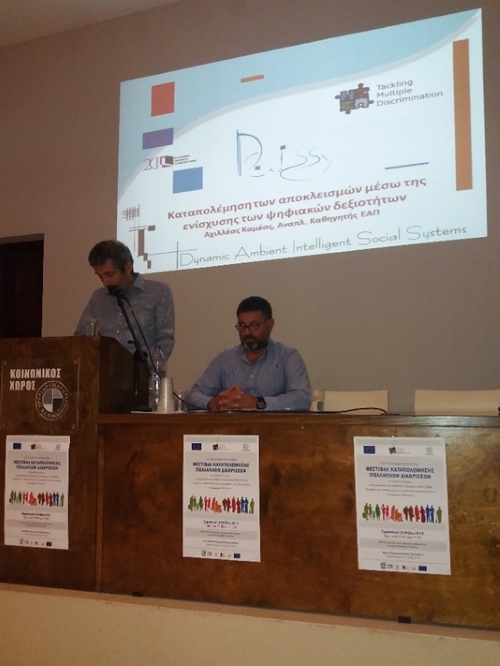 Prof. Achilles Kameas, Head of DAISSy research group of Hellenic Open University and Vice Chair of ALL DIGITAL Board, presented project UMI-Sci-Ed (http://umi-sci-ed.eu/) as a good practice in promoting STEM Education in the classroom using Mobile and IoT technologies. Ο Οργανισμός Ανοιχτών Τεχνολογιών ΕΕΛΛΑΚ , η Πανελλήνια Ένωση Υπευθύνων ΕΚΦΕ(ΠΑΝΕΚΦΕ) σε συνεργασία με το European SchoolNet διοργανώνουν το Πανελλήνιο Συνέδριο Scientix για την εκπαίδευση STEM στις 3 & 4 Σεπτεμβρίου 2018 στο Ε.Μ.Π. στην Πολυτεχνειούπολη Ζωγράφου. Το Scientix (www.scientix.eu) είναι ένα Ευρωπαϊκό έργο που υποστηρίζεται από το European SchoolNet (www.eun.org) με σκοπό την ενίσχυση της εκπαίδευσης STEM στα Ευρωπαϊκά Εκπαιδευτικά Συστήματα. Στην Ελλάδα, ο Οργανισμός Ανοικτών Τεχνολογιών(ΕΕΛΛΑΚ), υποστηρίζει το έργο σε εθνικό επίπεδο. Σκοπός του συνεδρίου είναι η ανάδειξη καινοτόμων εκπαιδευτικών πρακτικών από την Εκπαίδευση Φυσικών Επιστημών, Τεχνολογίας, Μηχανικής Μαθηματικών και Πληροφορικής έτσι όπως σταδιακά διαμορφώνονται στη σύγχρονη σχολική πραγματικότητα. Μπορείτε να διαβάσετε ο αναλυτικό πρόγραμμα του συνεδρίου εδώ. Project V4T (Videogames for Teachers) aims to promote the use of videogames and mobile apps as additional tools in the teaching process. 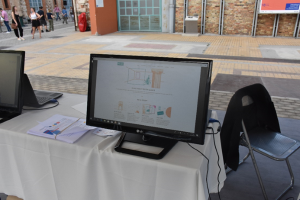 The project aspires to provide teachers with the necessary skills and competences to integrate and use effectively videogames/apps in education. A workshop on using videogames in teaching will be organized on September 3, 2018, from 18.30 to 20.00, in the context of the National Scientix Conference on STEM Education that will take place at the National Technical University of Athens (NTUA) premises in Zografou. The workshop is organized by the DAISSy research group of Hellenic Open University and is addressed mainly to teachers in primary and secondary education and educators in general. During the workshop, the online repository of the videogames and mobile apps, that are most suitable for education, will be presented. For each game/application included in the repository, detailed assessment of its features and services and possible ways to use it with students, are included. Educators attending the workshop will be able to connect to the online repository and comment on any of the reviews they want by submitting their own personal experience or opinion. Participation in the V4T workshop is free, but requires online registration to the Scientix conference at https://scientix.ellak.gr/. More information about the workshop can be found at https://scientix.ellak.gr/events/v4t-videogames-for-teachers/. Note that it would be useful to bring a laptop or smart phone. The V4T project is funded by the European Commission under the Erasmus+ Program, Key Action 2 – Strategic Partnerships in Higher Education. 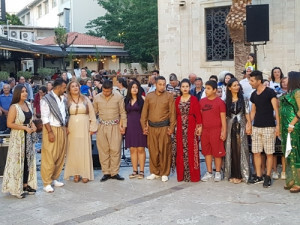 For more information about the project, you can visit https://v4t.pixel-online.org/index.php or send an inquiry to the address info@daissy.eap.gr. Project UMI-Sci-Ed aims to exploit cutting-edge technologies such as UMI technologies (Mobile Computing, Mobile Computing and the Internet of Things) to promote science education. More specifically, it aims to encourage young people to think creatively in a constantly competitive and demanding working environment. At the same time, through an entrepreneurial and multidisciplinary effort, it aims to increase incentives for young boys and girls aged 14-16 to engage in science and enhance the prospects for career choices in the UMI technology areas. 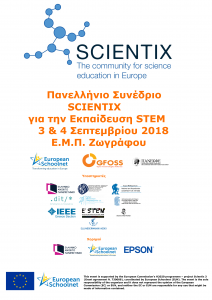 A workshop on using IoT to support education will be organized on September 4, 2018, from 11.00 to 12.30, in the context of the National Scientix Conference on STEM Education that will take place at the National Technical University of Athens (NTUA) premises in Zografou. 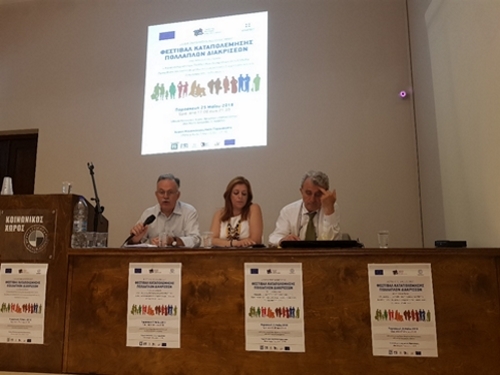 The workshop is organized by the DAISSy research group of Hellenic Open University and is addressed mainly to teachers in primary and secondary education and educators in general. Participants in the UMI workshop will be granted access to the UMI-Sci-Ed online platform and will be trained in using its services. The platform hosts the STEM education scenarios that have been developed by project partners, together with guidelines on how to apply them in the classroom. At the same time, it facilitates discussions among teachers and UMI researchers. Moreover, a demonstration of the UDOO IoT platform and its capabilities will be given through the implementation of a STEM education scenario that measures distance using ultra sound. The required hardware will be provided by the workshop organizers. Participation in the UMI workshop is free, but requires online registration to the Scientix conference at https://scientix.ellak.gr/. More information about the workshop can be found at https://scientix.ellak.gr/events/to-diadiktio-ton-pragmaton-stin-ipiresia-tis-ekpedefsis-i-ekpedeftiki-platforma-umi-sci-ed/. Note that it would be useful to bring a laptop. The UMI-Sci-Ed project is funded by the European Commission under the H2020 Program. For more information about the project, you can visit http://www.umi-sci-ed.eu/ or send an inquiry to the address info@daissy.eap.gr. “Spoudase” Festival, the biggest festival for all levels of Education in Greece, was organized for the second consecutive year at the Technopolis of the City of Athens on 19 & 20 May 2018. 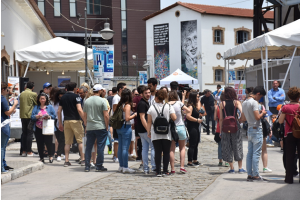 The Festival hosted more than 300 participants from all levels of education, which communicated and presented programs, activities and exhibits related to Education, Training, Innovation, Science and Technology. It was a major event, during which visitors got acquainted with educational and scientific courses linking education, skills, training and lifelong learning with career, creativity, growth, entrepreneurship and, in general, production and labor market needs. More than 70 schools were hosted at the Festival and presented their activities in sciences and new technologies. In addition to the booths and stands, more than 200 workshops and seminars were held free of charge by leading scientists, institutions, universities and market executives. The DAISSy research group of Hellenic Open University participated in the “Spoudase” Festival with its own booth, promoting its research activities and projects. 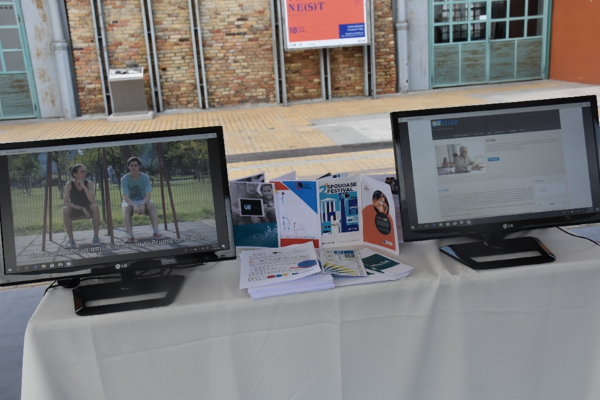 Four big screens were set up, each displaying videos about the DAISSy group, the various projects that the group participates in and their products. 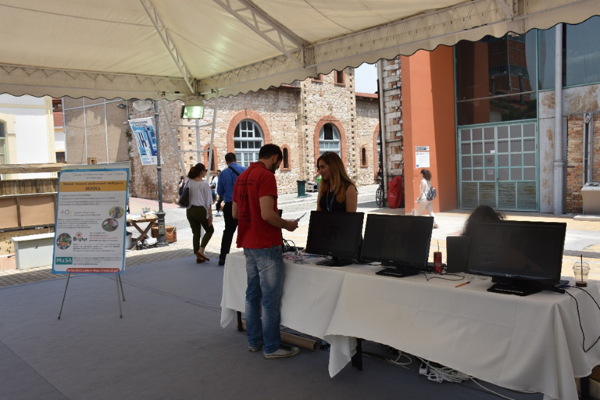 One of the screens was dedicated to the promotion of the MOOC on “Promoting Global Citizenship Education using Digital Storytelling” that was produced in the context of project BRIGHTS. A specially created video based on the MOOC content was playing constantly on the screen, enhanced with slides promoting BRIGHTS project outcomes. Also, Projects MuSA, WEMIN and DCDS were promoted within a specially created short video showcasing all DAISSy projects that was being constantly played on one of the screens. Thanks to its central location, the DAISSy booth attracted more than 500 visitors, all of whom expressed their interest in the projects. 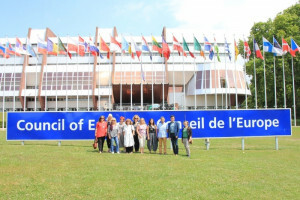 ALDA’s office within the Council of Europe, in Strasbourg, hosted the second meeting of the steering committee of the project WEMIN on 9-10 July 2018. WEMIN, funded by the Asylum, Migration and Integration Fund of the European Union, stands for “Migrant Women Empowerment and Integration”. 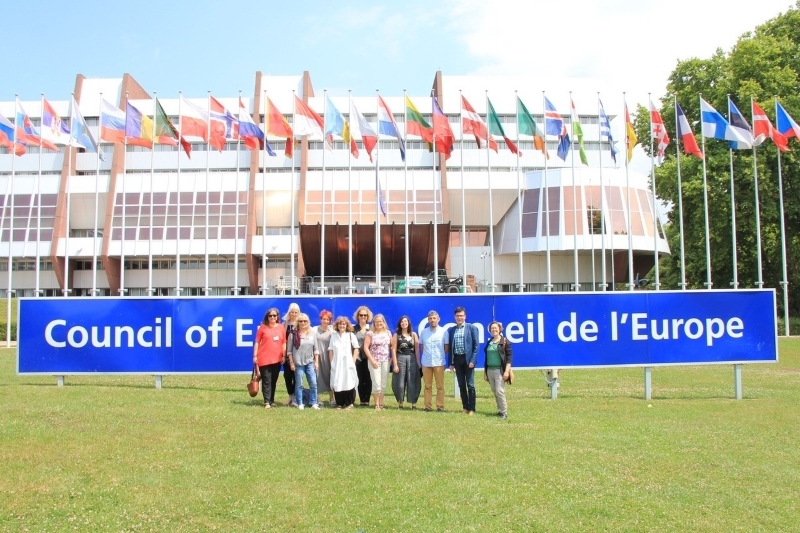 Over two years, it puts together 9 partners from 8 EU countries to implement and promote a pioneering integration model for migrant/refugee women of all ages in the communities involved. Very soon activities will be put in place to recruit migrant and refugee women, as well as local women from the communities, interested to take part in the project. They will benefit from training, including language training, mentoring sessions, peer learning and art activities – many occasion to stimulate dialogue, intercultural relations and exchanges. An online platform will also be used to foster peer-learning and exchange. Ο ΕΛΟΤ και το Ελληνικό Ανοικτό Πανεπιστήμιο, ερευνητική ομάδα DAISSy, διοργανώνουν εκδήλωση με τίτλο “Ποιότητα στην Ανοικτή Μαζική Διαδικτυακή Εκπαίδευση”, την Παρασκευή 13 Ιουλίου 2018 και ώρα 10:00 έως 17:00, στο Παράρτημα του Ελληνικού Ανοικτού Πανεπιστημίου, Γραβιάς 4-6, Αθήνα. Σκοπός της εκδήλωσης είναι η παρουσίαση των αποτελεσμάτων έρευνας με διεθνή συμμετοχή για την ποιότητα των Ανοικτών Μαζικών Διαδικτυακών Μαθημάτων (Massive Online Open Courses – MOOCs) και η διαβούλευση με την κοινότητα ερευνητών και ενδιαφερομένων για το σχεδιασμό ενός Ευρωπαϊκού Πλαισίου Αναφοράς Ποιότητας (Quality Reference Framework – QRF) που αποσκοπεί στην αξιολόγηση, τη διασφάλιση ποιότητας και τη βελτίωση της αποτελεσματικότητας των μαθησιακών εμπειριών στο πλαίσιο της ανοικτής ηλεκτρονικής εκπαίδευσης. Η έρευνα διεξήχθη στο πλαίσιο του έργου MOOQ. Το πρόγραμμα της εκδήλωσης είναι διαθέσιμο εδώ. Η συμμετοχή στην εκδήλωση είναι δωρεάν, αλλά απαιτείται εγγραφή στη σελίδα εδώ! Η είσοδος είναι ελεύθερη. Θα δοθούν βεβαιώσεις συμμετοχής. Κύριοι στόχοι του φεστιβάλ ήταν η ανταλλαγή πετυχημένων παραδειγμάτων σχετικά με την καταπολέμηση των διακρίσεων και η ανάπτυξη διαλόγου με βάση τα ανθρώπινα δικαιώματα και το περιεχόμενο της Ευρωπαϊκής και εθνικής πολιτικής για τις πολλαπλές διακρίσεις. Οι ομιλίες ανέδειξαν καλές πρακτικές ως προς την καταπολέμηση στερεοτύπων σε ευάλωτες ομάδες καθώς και αποτελεσματικά «εργαλεία» στον τομέα αυτό. 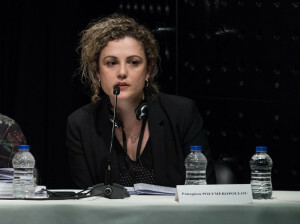 Ο Δρ Αχιλλέας Καμέας, Αναπληρωτής Καθηγητής ΕΑΠ και επικεφαλής της Ερευνητικής Ομάδας DAISSy, είχε την ευκαιρία να παρουσιάσει αποτελέσματα των δράσεων του φορέα για το έργο, κάνοντας ειδική αναλυτική αναφορά στις επιτυχείς ημέρες πληροφόρησης (info-days), το φεστιβάλ και το εργαστήριο δικτύωσης τοπικών φορέων που διοργανώθηκαν στην Πάτρα. Έδωσε έμφαση στη διασύνδεση μεταξύ συναφών Ευρωπαϊκών έργων που υλοποιούνται παράλληλα από το ΕΑΠ (WEMIN, TOY+, BRIGHTS, DCDS), επιτυγχάνοντας πολλαπλασιαστικά αποτελέσματα και ενθαρρύνοντας την πολύπλευρη αξιοποίησή τους. Το φεστιβάλ ολοκληρώθηκε με μια όμορφη εκδήλωση στην πλατεία του Ηρακλείου, στην οποία μέλη συλλόγων ευαίσθητων κοινωνικών ομάδων και συλλόγων μεταναστών συνέβαλαν σε ένα πολύχρωμο πολιτιστικό πρόγραμμα. Υλικό για το έργο βρίσκεται αναρτημένο στην ιστοσελίδα, καθώς και στην ιστοσελίδα του ΕΑΠ, την ιστοσελίδα της Ερευνητικής Ομάδας DAISSy, και στις σελίδες του φορέα και της ομάδας στα μέσα κοινωνικής δικτύωσης (facebook, twitter). Akbank Sanat and ICTOP successfully organized five Musical Studies Seminars that took place at the AKBANK SANAT Art Center, celebrating the International Museum Day “Hybrid Connected Museums: New Approaches, New Publics” and the 50th anniversary of ICOM – ICTOP. 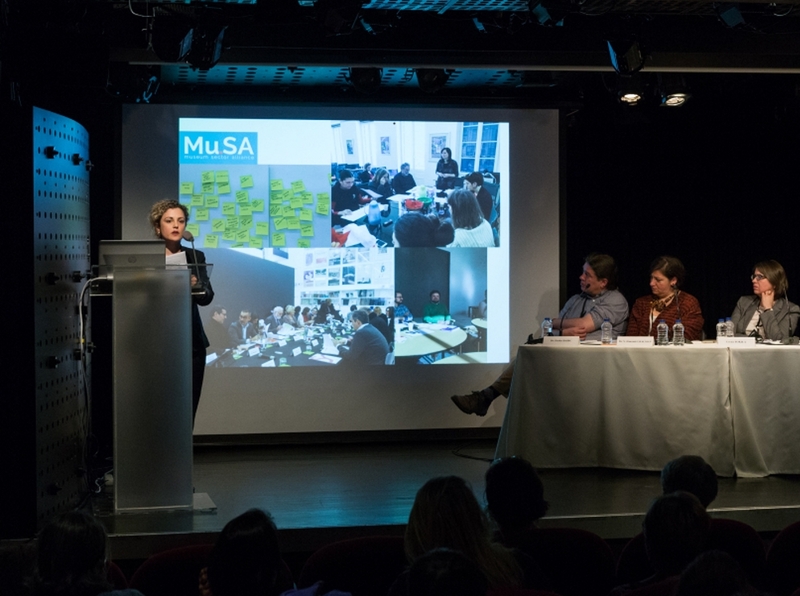 In the two-day seminars entitled “Communication-Oriented Museums”, the changing faces of the museums are confronted and negotiated, without denying, the new conditions created by technology, taking into account the communicative aspect of Museology. Speakers, museum, communication and training specialists from both the academic community and the museums of Turkey, as well as professionals from internationally renowned European museums such as the British Museum, the Van Gogh and the National Gallery of Denmark etc., presented their own experiences and presented successful practices on museum issues. In Seminar V: ICOM-ICTOP: “Communication in Museums Related Trainings / Professional Development” was presented the Mu.SA project with the first results of the research as well as the training phases that will be developed within the project (MOOC, Specialization courses and work-based learning) for Museum professionals, by Panagiota Polymeropoulou, Archaeologist – Museologist MSc and Researcher at the Greek Open University, member of the DAISSy Research Group. Participants as well as speakers and the seminar organizers, expressed their interest and will to participate in the project’s future educational activities. 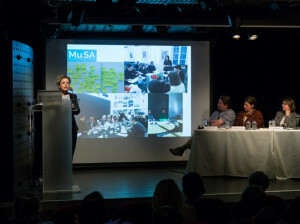 The topics discussed in the seminars were the spaces and changes in exhibition practices and ways of interpreting museums, participatory approaches to museums, forms of implementation of marketing strategies in museums and the ways in which museums make use of social media networking as well as the importance of the education and training of the Museum’s professionals. 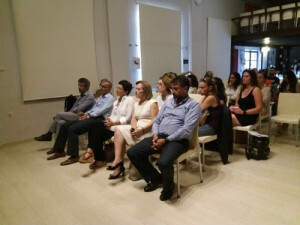 The seminars were attended by a total of 137 people from Turkey and Europe and the lectures were held in Turkish and English (with simultaneous interpretation for the public). Watch the interview of Dr. Achilles Kameas about UMI-Sci-Ed project. UMI-Sci-Ed (Exploiting Ubiquitous Computing, Mobile Computing and the Internet of Things to promote Science Education) is a Horizon 2020 project, which aims at enhancing the attractiveness of science education and careers for young people (14-16 year olds) via the use of latest technologies. We put Ubiquitous and Mobile Computing and the Internet of Things (UMI) into practice towards enhancing the level of STEM education. At the same time, we are increasing the attractiveness of pursuing a career in domains pervaded by UMI for these youths. Read more about the UMI-Sci-Ed Project here! Watch the videos of UMI-Sci-Ed Project from DAISSy YouTube channel here!